Gold demand and import in India witnessed a sharp fall in the December 2018 quarter – a trend that is likely to continue going ahead. According to analysts tracking the sector, traders preferred to swap gold with silver resulting in the higher domestic supply of the yellow metal. The arbitrage was due to high prices of gold and low prices of silver during the last few months. As gold prices are around Rs. 33,000 and a tad away from their all-time high, the subdued trend in gold demand will continue. 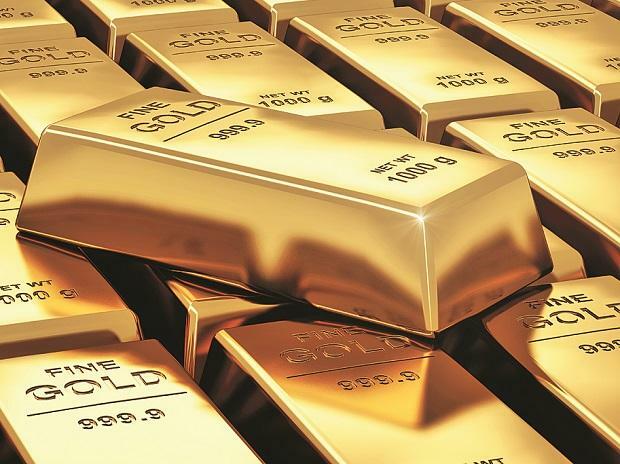 In Mumbai’s Zaveri Bazar on Wednesday, standard gold opened at Rs.33,060 per 10 grams, a-five-and-a-half year high, while silver opened at Rs.40, 190 per kg. The GFMS Gold Survey Q4 2018 released today said, “On a quarter on quarter basis, gold has remained expensive; rising by 6.8% over the previous quarter, while silver prices retreated by 3.3%. This factor created an opportunity for investors to buy silver while selling gold in the market. Silver jewellery consumption also increased by 20% in Q4 based on our analysis, because it is more affordable, and an alternative to gold jewellery in marriages in rural India especially when the price is extremely high”. The gold to silver ratio also reflected the trend. The ratio, which was around 85-86 during October-November, fell to around 82-82 this month. A higher ratio indicates a low price of silver compared to gold. Due to spurt in international gold prices, gold is trading at around Rs.33,000 per 10 grams in Mumbai, while silver is above Rs.40,000 per kg. Q4 2018 has emerged as the worst quarter for gold in recent years in India. Initial estimates suggest that the net supply (import + scrap + unofficial) for domestic use was down by 23% to 192.8 tonnes and total Indian demand (investment + Jewellery+ industrial) in the whole of 2018 was down 11% to 782.7 tonnes compared to the same quarter in the previous year. GFMS estimates the average international gold price to be $1292 per ounce. The average for 2018 was $1269 per ounce. The agency stated that gold rallies are more likely to be sustained if investor demand is resilient and broad-based. The scope for rising inflation, the interest rate-hiking trajectory nearing the end of its cycle and a stock-market correction could reignite interest in gold and drive the dollar lower. While ETF and bar and coin demand is expected to see a return to growth, physical markets are likely to be subdued due to the higher price level.